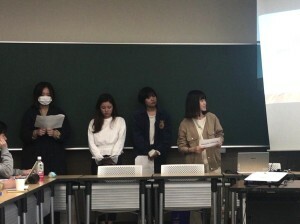 Group work presentation has been held as one of the newcomer training. 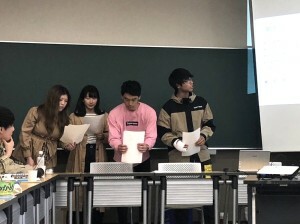 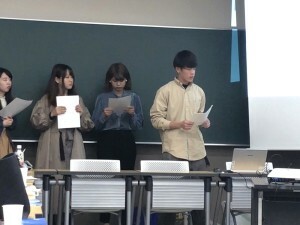 A group of four people set up a research theme related to social informatics, and conducted surveys and questionnaires about the theme. 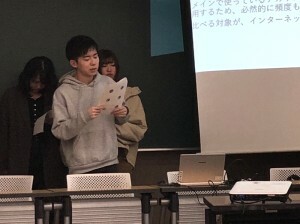 This training was held for one month. 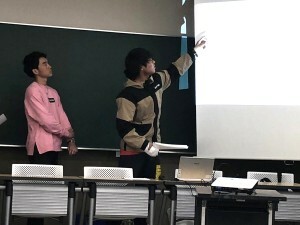 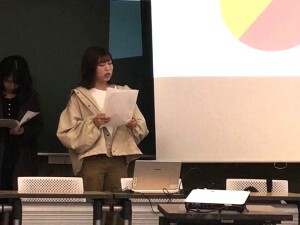 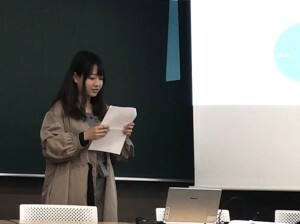 Each group gave a presentation of 20 minutes and all the members of our laboratory discussed about the results on the final presentation day. 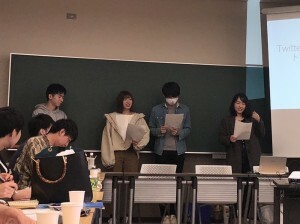 All the newcomers learned how to proceed research and experienced the academic discussion.